What if your organization could make member voting as easy as picking up the phone? You’re about to find out. We’re excited to announce that phone voting and customized, touchtone telephone voting (TTV) will be a part of our DirectVotePlus® line of election services. We work with your organization to provide voters with login information to access a personalized phone ballot based on their member information. Members simply place a call and are guided through the process by recorded prompts. SBS’ phone voting systems can also be set up for automated awareness campaigns, voter intent surveys and invitations that route members into their phone ballots. Voters can then use voice commands or their touch-tone key pads to make their voting selections. Why consider phone voting as an option for your next election? Authentication procedures ensure no duplicate voting. Voters can review their ballot selections before final submission. It’s quick and it’s easy – voters are clearly guided through each step of their personalized ballots with straightforward voice prompts. A verifiable level of security exists for auditing purposes. Your organization benefits from reports on voter participation, activity and trends. The system has been meticulously developed, tested and is continuously overseen by SBS Client Service staff. It can help increase member election participation. Organizations can use phone voting exclusively or integrate it with other election methods such as traditional paper ballots and online voting. 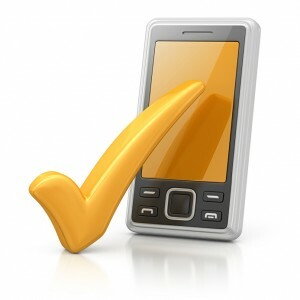 Learn more about DirectVotePlus and phone voting options here. Next Next post: Why Be a Member of a Cooperative?